A quick and easy fix would be to redo the windowboxes and set out stacks of pumpkins. 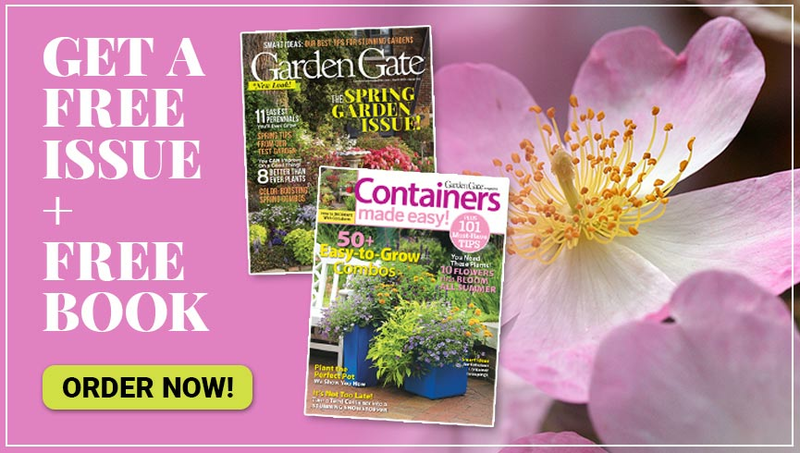 But to get more permanent fall color next to the house, head to the nursery and pick up a few compact shrubs that are in bloom or sporting fall foliage. Ornamental grasses add vertical interest along the front of the house and can cover up unsightly areas, such as downspouts. 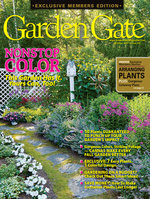 While it’s easy to pop in a few plants and doodads for instant allure, this entry could use a little more color all year long. 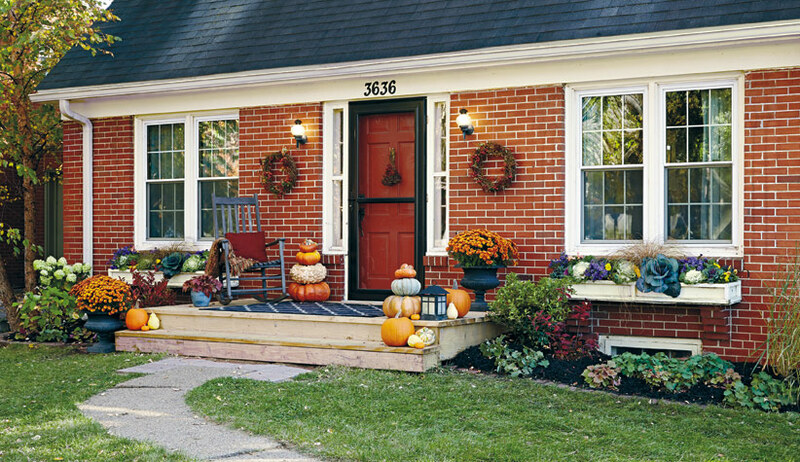 Click through the slideshow below for some tips about creating long-lasting fall curb appeal. 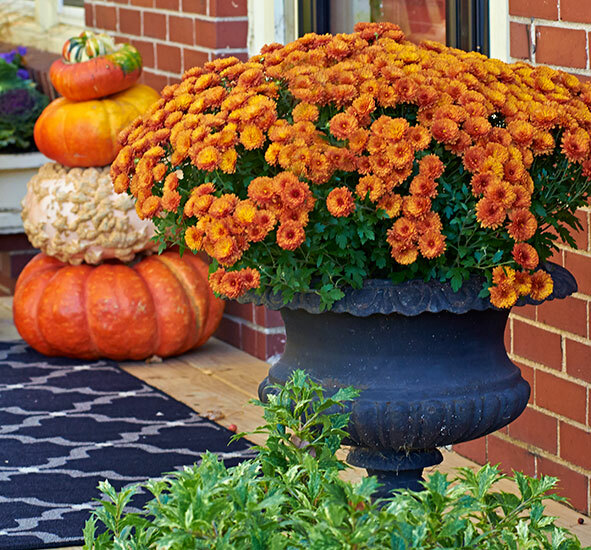 On the front step, set garden mums (Chrysanthemum hybrids) in nursery pots inside decorative containers. Here, ‘Sunset Orange’ adds more flowers and fall color to a waning border. 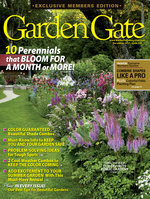 For a longer show, choose plants that are covered in buds but whose blooms haven’t fully opened yet. 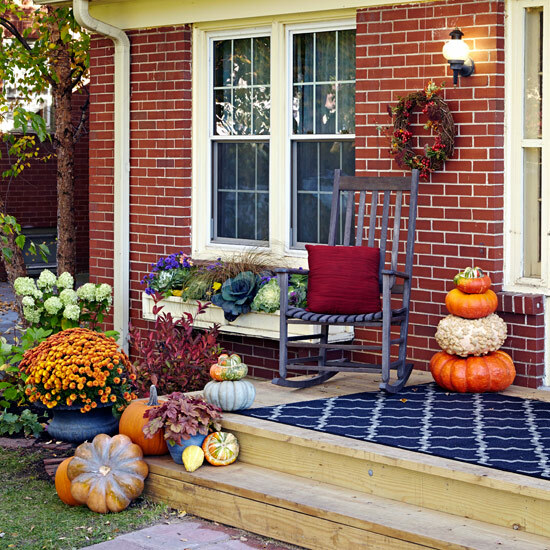 Then complete the entry by laying an outdoor rug, stacking several pumpkins, hanging a couple wreaths and freshening up the mulch. Adding seating at the front of your house creates an inviting destination. This rocking chair suits the deck of this Cape Cod style home well, too. Just grab a cozy pillow and a throw for cool fall nights. 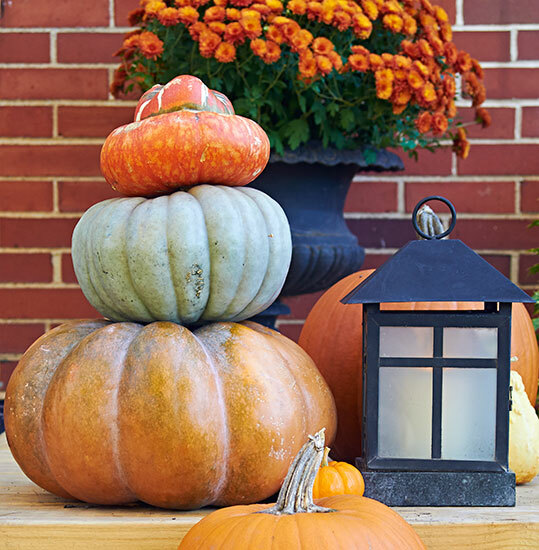 A black metal lantern stands out against the colorful stacked pumpkins, and ties together the other dark-colored accessories, such as the iron planter that holds the mum. Plain grapevine wreaths are inexpensive and easy to customize. Cut sprays of crabapples (Malus hybrids), American bittersweet (Celastrus scandens) and tall sedum (Sedum hybrids) about 6 in. long and tuck them in to add classic fall colors and nice texture. 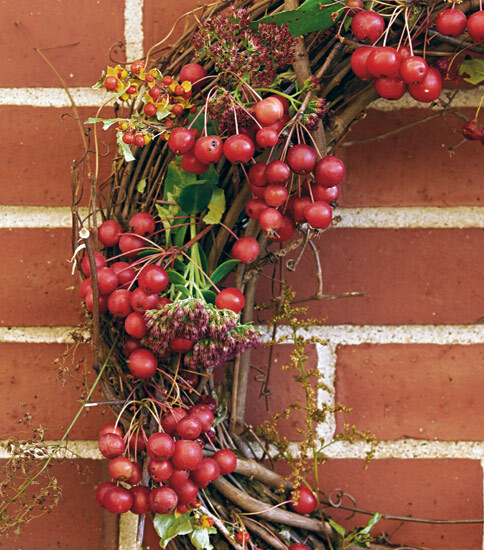 The circular shapes of the wreaths and fruit soften the hard angles of the bricks and bring your focus toward the door. 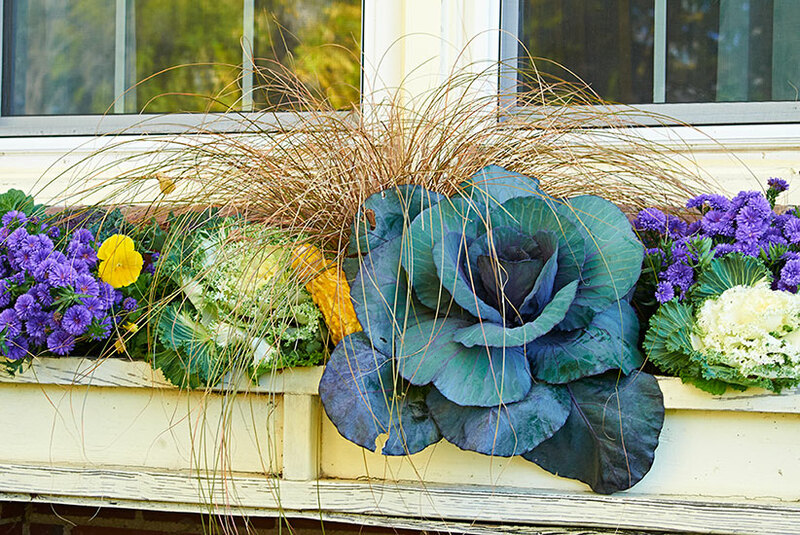 Rejuvenate a windowbox by pulling out anything that’s overgrown, dead or no longer blooming. Here, the blue hues of flowering kale (Brassica oleracea), violet-blue ‘Henry III’ aster (Aster hybrids) and big rosettes of red cabbages (Brassica oleracea capitata) add a touch of contrast to the warm palette that dominates here. All of these plants can tolerate some cold and frost, so continue to water them until they die in a hard freeze. Remove the plants and replant in spring or create a winter display, if you’d like.